JewQ, the international quiz on Jewish general knowledge, has arrived at its final stage: the International Championship. 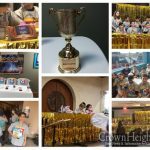 80 students from Hebrew Schools around the world have qualified to participate in the game show competition being held this weekend where one boy or girl will be crowned JewQ’s ultimate winner. 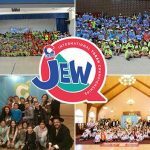 Any reputable competition has a judging panel, and the JewQ International Championship is no different in this regard. Four judges have been selected to participate in the live game show and score the contestants’ answers. 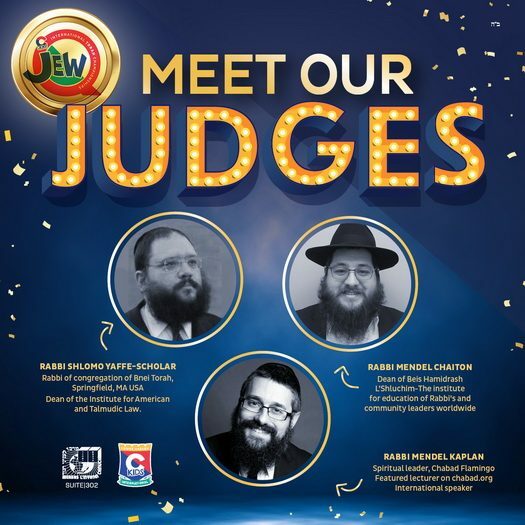 The judges were chosen by CKids — a branch of Merkos 302 — which is the organization responsible for creating and running the JewQ competition. Rabbi Shlomo Yaffe has an acclaimed rabbinical and scholarly career. For over 15 years, Rabbi Yaffe has served as the dean of the Institute for American and Talmudic Law (IAT Law) where he has provided Continuing Legal Education to attorneys, and delivered classes on comparisons between American and Talmudic law. More recently, he became the rabbi of Congregation B’nai Torah in Longmeadow, MA. Rabbi Mendel Chaiton, originally from South Africa, is the dean of the Beis HaMedrash L’Shluchim. The Beis HaMedrash L’Shluchim was founded by Merkos Suite 302 more than 10 years ago in an effort to provide education for rabbis and community leaders about different aspects of shlichus and other areas of Jewish and Chassidic hashkafah. Last, but certainly not least, Rabbi Mendel Kaplan serves as spiritual leader and director at Chabad Flamingo in Thornhill, ON. 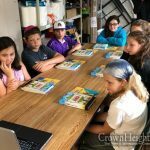 With hundreds of classes online at Chabad.org, Rabbi Kaplan is a sought after educator and renowned international speaker. 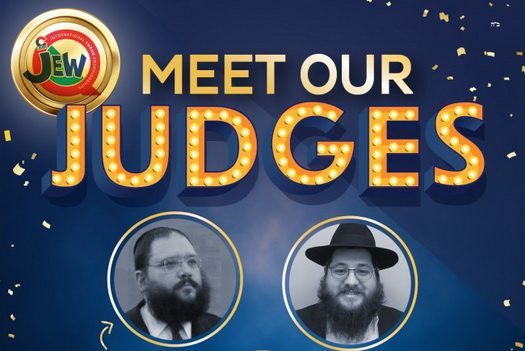 “I’m deeply honored to have been selected to serve as one of the judges,” said Rabbi Kaplan when asked for comment after being chosen for the panel.